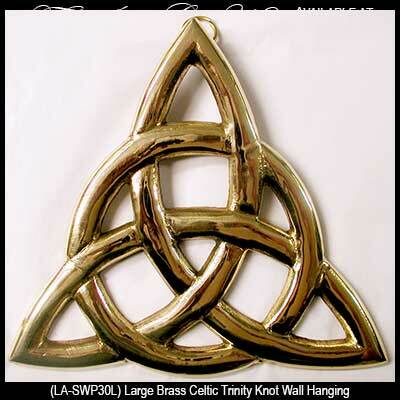 Irish Gifts Brass Celtic Trinity Knot Wall Plaque. 5 3/4" Wide x 5 1/4" Tall x 3/8" Thick, Diamentional Design. Ready to Hang, Gift Boxed with the Celtic Knot History.